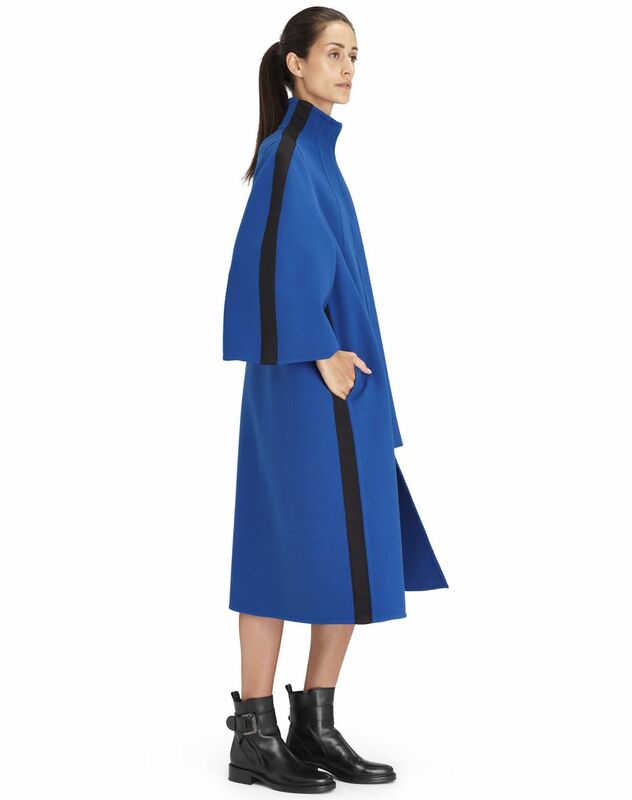 Long indigo stretch wool coat with wide, flared sleeves, black grosgrain signature, high funnel neck, side pockets, and invisible front zipper. 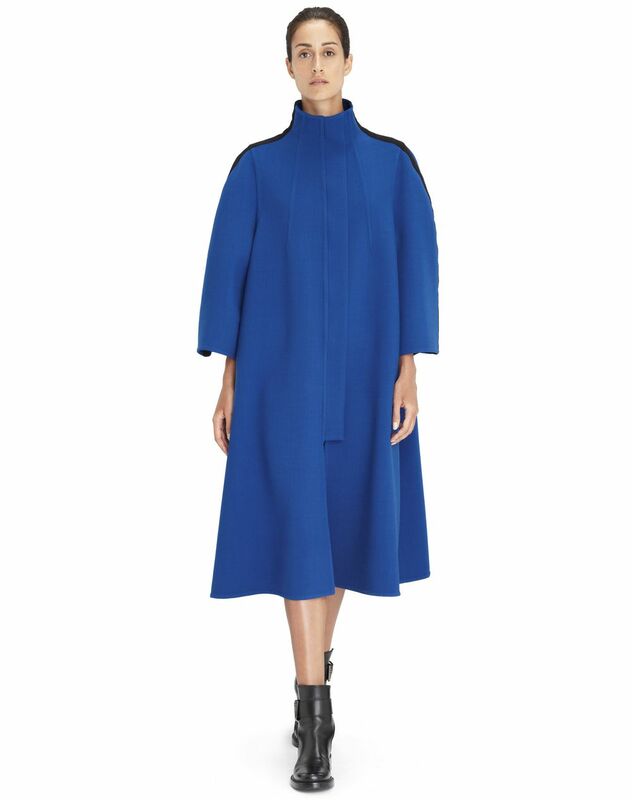 The curvaceous, slightly rounded shape of this coat, combined with its bright indigo blue color, brings a touch of natural elegance and the unmistakable mark of the Fall-Winter 2018 season. Enveloping and cozy, this coat stands out as a comfortable piece that fits perfectly with this season’s trends. Main material: 60% new wool weave, 37% polyamide, 3% elastane weave. 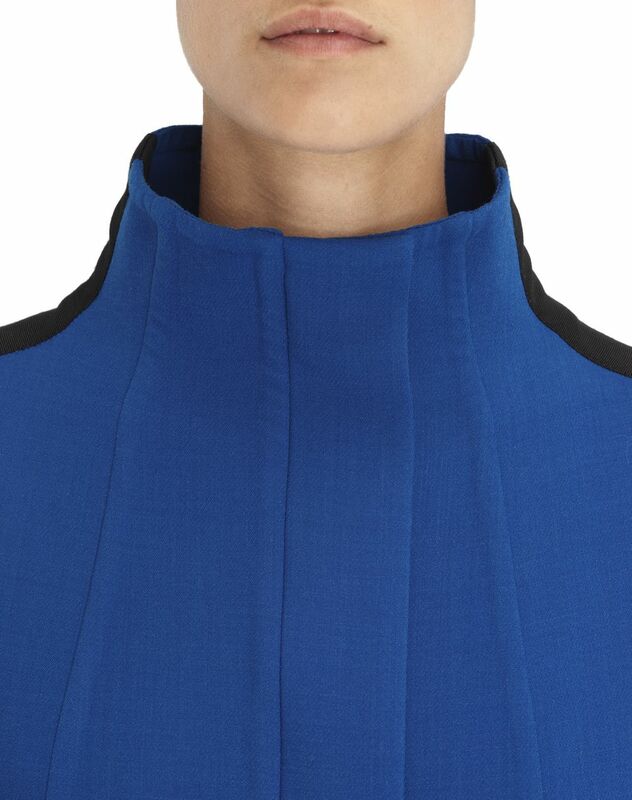 Model's measurements: Height: 178 cm Chest: 85 cm Waist: 60 cm Hips: 89 cm Model wears a French size 36. Made in Italy.